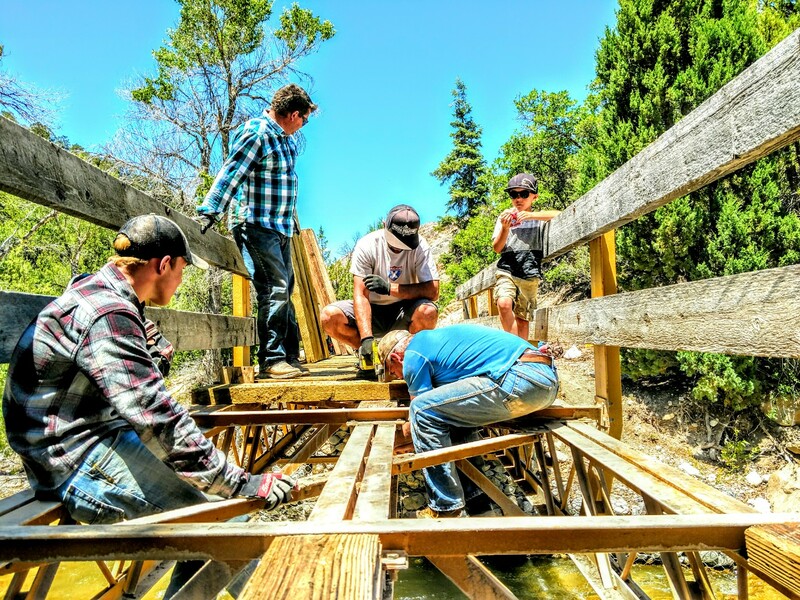 Volunteers conduct repairs on the Patton Trail Bridge. 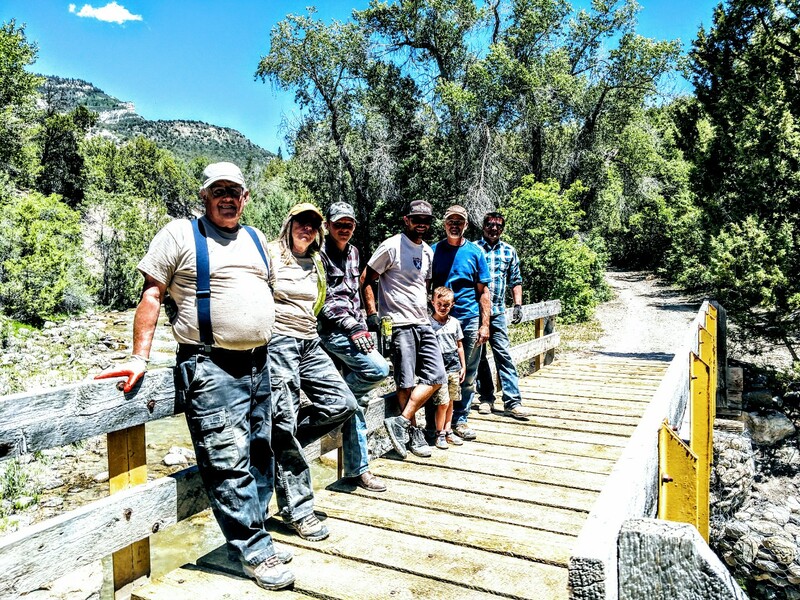 SANPETE COUNTY — A group of dedicated OHV enthusiasts came together to work on a much-needed bridge project; bringing both an increase in aesthetics and safety to visitors. A group of approximately 10 volunteers spent a full day working on the Patton Trail Bridge, located along the Arapeen Trail System. 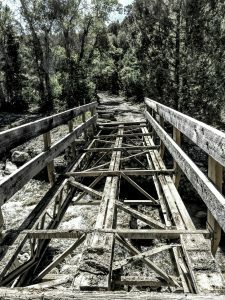 The bridge is frequented by riders, leaving much of the old wooden planking worn down. The volunteers spent the first half of the day removing the old planking, followed by the group then installing new planking along the entire bridge. Work like this is important and helps bring both a visually pleasing aspect to the bridge, along with creating a more stable platform to allow riders a safe way to cross the water. 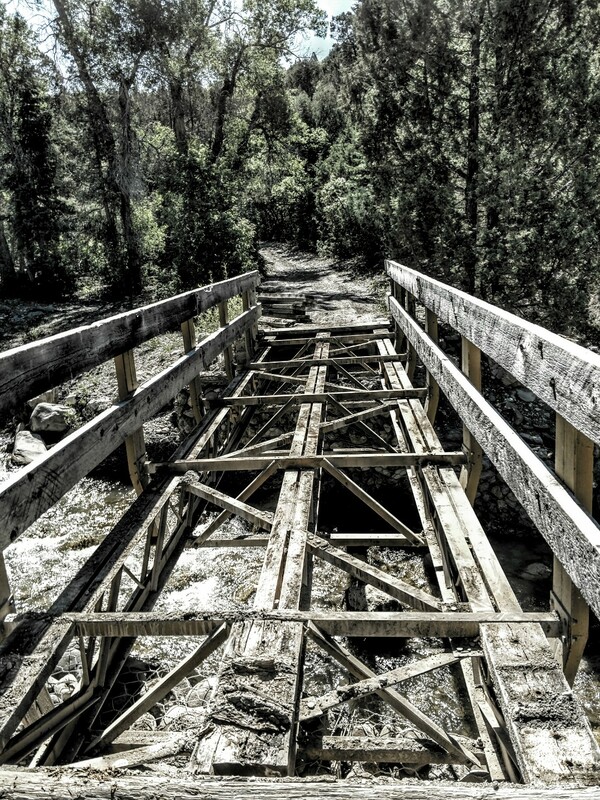 The Patton Trail Bridge after the old planks had been removed. The group was comprised of members from Skyline Recreation, former Search and Rescue workers, and the Sanpete Ranger District. Volunteers ranged in age from young children all the way to seasoned veterans. Getting children involved in outdoor recreation and volunteering at a younger age allows them to grow up with a greater appreciation and respect for Utah’s beautiful outdoors. The Utah State Parks OHV Program would like to extend a special thank-you to Greg Wayman from Skyline Recreation, Joshua Clark with the Sanpete Ranger District, Kevin Christensen of Sanpete County, and all the other volunteers who took time out of their day to assist with this project. Volunteers pose on the newly repaired Patton Trail Bridge.